These Helmut Lang skinny pants feature faux front pockets and welt back pockets. Elastic waistband. Horizontal seaming. 10" leg opening. I am 5' 6" and weigh 130 lb The size 6 fits me perfectly although if you want a tighter fit order a size down. 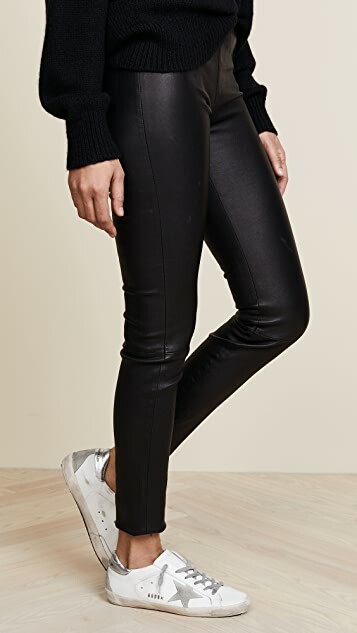 These are heavier black leather leggings with black elastic around the waist for better fit. They run long but can easily be cut to fit. I prefer these to the stretch-leather leggings/jeans which I find to be too thin. I get what all the rave was about. They are butter soft, fit awesome and I just wish the elastic at the top felt a bit nicer and up to par with the rest of the leather. But they are very flattering, feel uber comfortable and so sharp! I love these! So worth the price. I am 5"5 115# and the size 0 fit perfectly! I have to say I'm not in love with mine as others are. 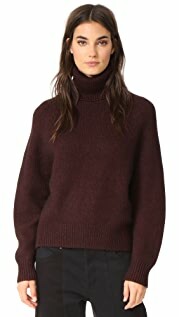 For help with sizing for others I am 5'7" and weigh 56kg, I wear size 25 in Citizens, J Brand, James Jeans, Paige and 26 in AG. I bought the size 0 in these. I heard a few cracks in the stitching when trying to pull them on for the first time, but once on they are not super tight, they bag in the knees and could be tighter on the bum, and there is about an inch at the ankles that I have to fold under. I am slim but not toned so the pants are not flattering on my bum and tummy. I only have a tiny bit of fat on my stomach but because they are low waisted and tight at the hips I can't wear a fitted top with them. Also they show your undie line and because I don't have a toned perky bum, (44 years old but no excuse really!) they look terrible on my bum, as unlike jeans they show your bum and don't give any lift, so I have to wear a long top to cover it. Also the lining is quite shiny and makes fall down on your bum too. Love these pants, the leather is (like other reviews said) absolutely amazing! So soft and feather light making them so comfortable. I ordered the size 0, (I am a size 8 Australian and 5'9'' tall) I was thinking about getting the size 00, maybe I should have as I expected them to be skin tight, and now I am worried about them stretching but feel it's too much expense/bother to send them back. Saying that they are the perfect length (i hate that cropped look) and definitely the most flattering leather pants I have ever seen! These pants are now an essential item in my wardrobe!!! I waited way too long to purchase and wish I bought them years ago! The leather is soft and beautiful and they provide a generous length, I am quite short so I actually tuck the pants underneath to make them the right height for me. I would recommend sizing down, I am normally an 8 (AUS sizing) in pants and purchased the 0 and they are a perfect fit. Save up and invest, you won't regret it! I can't even tell you how obsessed I am with these leggings. 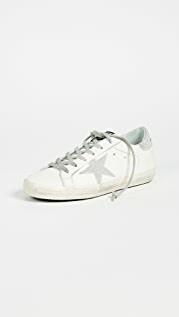 I was between these and the Alice and Olivia zip front ones. These are much thicker leather and feel more durable. The length was great for me (5'8"). Size 2 worked well (I'm normally size 2 in other brands). LOVE LOVE LOVE. I ordered the 00 and it was still very loose on me. The length is great for tall women but do not order these if you have small hips/anything less than 34" or have very slim thighs/bum or a slim waist/24" or below. It is a shame as they are so lovely but do not bother if you fit any of the above because they will not be skin tight but rather loose and will only become looser over time. If you want skintight try Daryl K sale leggings size 0 or 00. 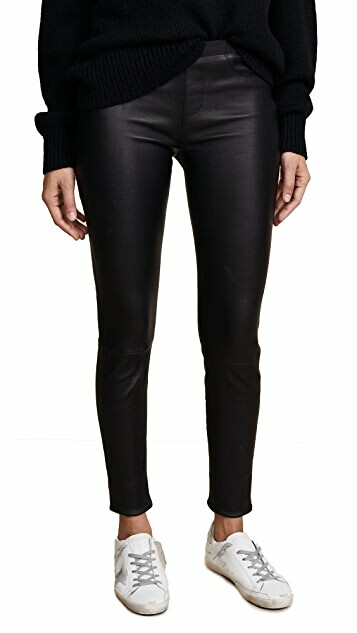 I searched high and low for the perfect leather pant, and in this item, found it. I'm between an Australian size 6 and 8, and settled on the size 2, but, with the stretch and elastic waist, I think a size 0 also would have worked. The only negative is the legs are a little long for us shorties - but we're used to that kind of thing. Well worth the money. Save your pennies and invest in this piece.